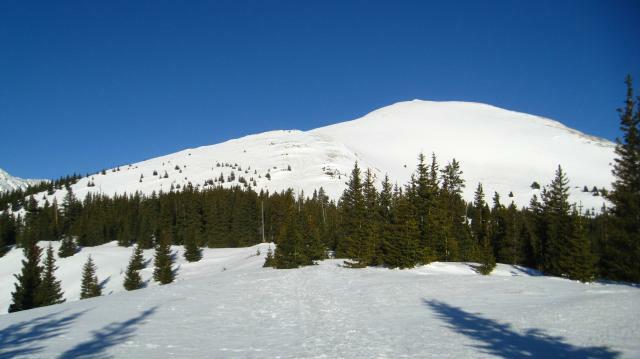 Quandary Peak is one of Colorado's most popular 14ers. 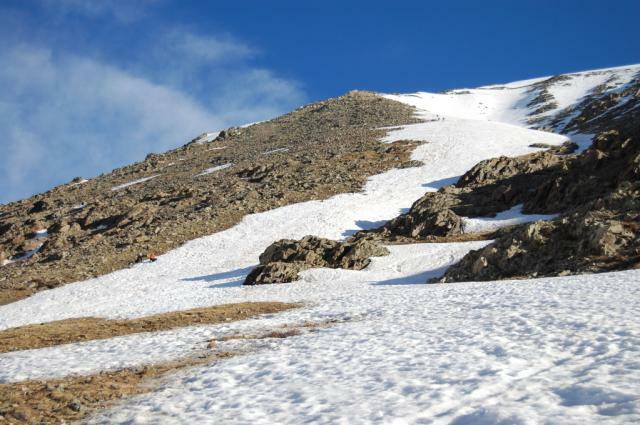 It is the 13th highest peak in Colorado, but as 14ers go, it is relatively easy to climb. 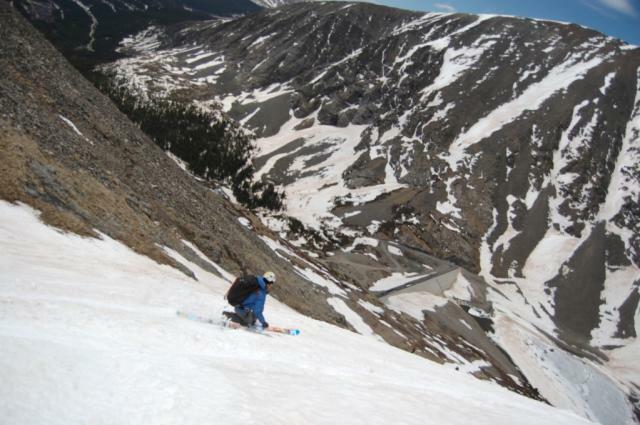 With it's good access, it is many people's first 14 ski descent. 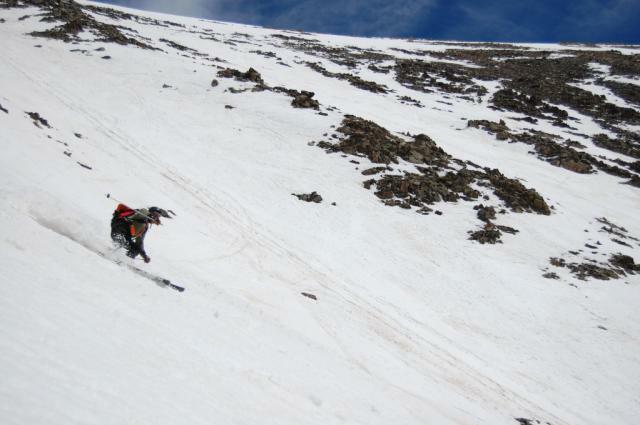 There are two major ski descents on Quandary. The first is the East Ridge & Bowls, which is the more moderate route of the two. The second is the Cristo Couloir, which is a more challenging descent. 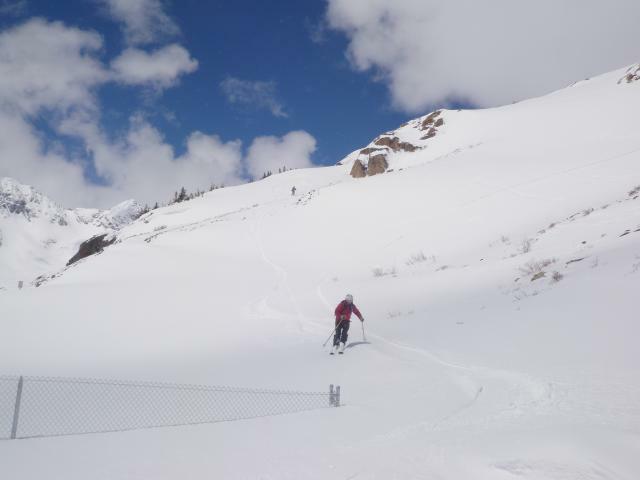 There are other skiable lines on Quandary, but they are not commonly skied. From Breckenridge, drive 8 miles south on CO Hwy 9. Turn right on Blue Lakes Road 850. Quandary is very visible from here. If you are climbing the East Ridge route, you want McCullough Gulch Road 851, which branches to the right after just a few hundred yards. This road will most likely be snowcovered until at least mid-May, so just park at the pullout where the road junction meets. If the road is clear, drive 0.1mi to a parking lot on the right. 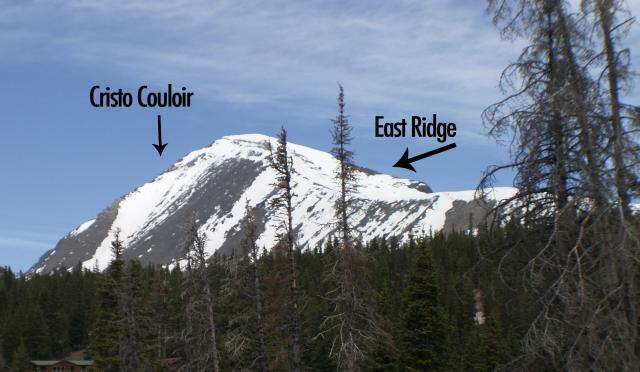 If you are climbing Cristo Couloir, continue straight on Blue Lakes Road. The road is not plowed for the last two miles to Blue Lake (where your climb starts), and will probably be snowcovered until mid-May. Drive as far as you can and find a place to park.